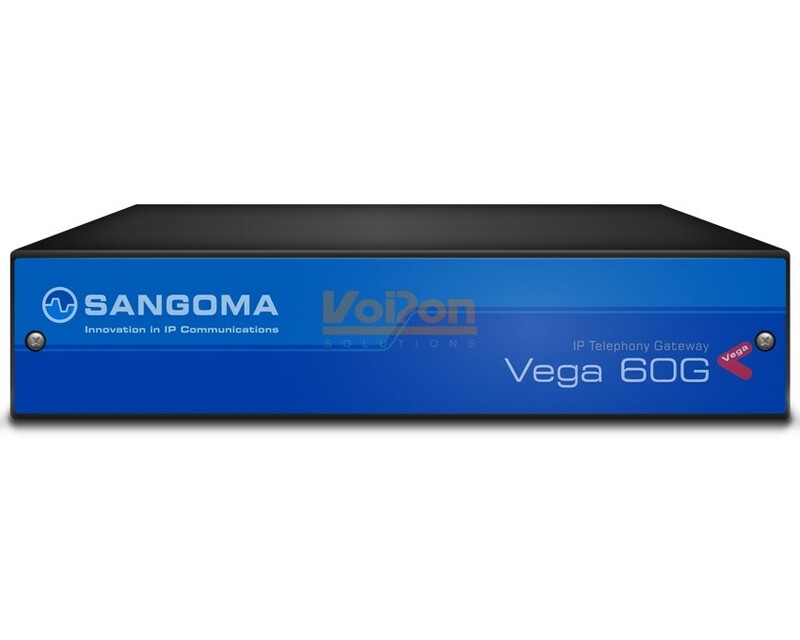 The Sangoma Vega 60G 4 FXS Media Gateway helps connect your legacy telephony infrastructure to IP networks. This Vega 60G has 4 FXS ports and can be used in SIP trunking applications, FXS endpoints for IP Centrex and for survivability of IP phones. The Vega 60G is also an ideal gateway for enterprise VoIP networking and PSTN trunking for IP PBX's. VoIPon - your Sangoma Vega 60G Gateway 4 FXS[VEGA-60G-0400] distributor, supplier, reseller! Get all your wifi at VoIPon! If you would like to be notified when the"Sangoma Vega 60G Gateway 4 FXS" is re-stocked, please enter your contact details and we will notify you instantly.